In this LPC Law Case Study, we speak to Izzy about the best parts of studying the LPC at BPP, the challenges of the course and how it differs from the GDL. LPC Law: What are the best bits about studying the course? Although it is still an academic course, the LPC is much more practical than my GDL. As I am progressing through the course, I am finding it easier to see what I will actually be doing in practice. A lot of the content is also useful for general life skills (for example, tax, accounts and finance), which is an added perk! I’ve enjoyed the opportunity to specialise further when choosing elective modules, which was not available on the GDL as all our modules were compulsory. LPC Law: What are the most challenging parts of the course? Given the large variety of modules on the LPC (business, property, civil litigation and commercial litigation), time management can be challenging at times. The course requires you to concentrate on a variety of subjects, which means you have to be fairly adaptable when managing your workload. Expect to have quite difficult exam periods (six exams in two weeks, with two exams a day, one three hour exam in the morning, one two hour exam in the afternoon) that will require stamina and perseverance (and not a very relaxing Christmas break if you have them in January)! That said, revision time is well programmed into the course and other points of the year are much less busy. LPC Law: What skills are essential to success on the LPC? The practical nature of the course means the skills that will help you succeed on the LPC are much the same as those that will serve a successful solicitor well. Interpersonal skills will help, especially for your skills modules, like interviewing and advocacy, as well as more general communication skills (both written and oral) for participating in class and arguing your point in exams. Time management is key as you have a variety of tasks to complete during the week. Finally, attention to detail is essential to spot intricate differences in multiple choice questions and small but crucial details in problem-based scenarios. LPC Law: How does the LPC prepare you for practice? The course is designed to be more commercial than your previous legal qualifications. Answers do not always centre on black-letter law, and often involve choosing the best solution for your client in a given commercial situation. Most law school providers will also give you the option to study an MA in Business alongside the LPC, which gives you an opportunity to further enhance these commercial skills. Alongside the transferable skills that you pick up from studying (like communication skills and attention to detail), the skills-based modules are specifically focused on preparing you for practice. These include drafting, legal research and legal writing where you learn to prepare the everyday documents you will come across in practice. Other skills-based modules include solicitors’ accounts and professional conduct, which provide a context for the responsibilities that come with working as a solicitor. 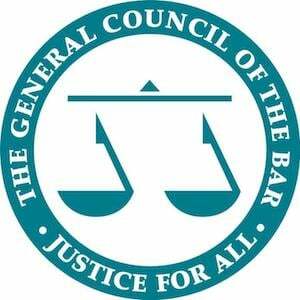 LPC Law: How does study on the LPC differ to the GDL? Whilst the GDL is usually made up of 6 full-year modules, the LPC is often a more fragmented course. I’m currently studying the LPC and my course is made up of 4 core modules taken in the first half of the year, and 3 elective modules in the second half. These are interspersed with 7 skills modules, and 2 optional masters modules. The nature of the GDL as a condensed law degree means that you spend less time on each topic, with content differing quite considerably between tutorials. In contrast, the LPC modules tend to build on a week-by-week basis, so that by end of the module, you have built up a bank of knowledge instead of having an understanding of a wide range of separate topics. The style of the exams reflects this. For the GDL exams, you’re likely to have to do 3 long-form problem questions (out of choice of 7) in 3 hours. It’s impossible to learn the whole content of the course, and we were actively encouraged to focus on certain topics when revising. By contrast, the LPC exams are a mixture of long answer, short answer and multiple-choice questions (around 15 questions of differing length to complete in about 3 hours). We had to answer all the questions, so there was no option but to learn the whole course! Unlike the GDL, the answers are also generally more right or wrong in nature, which also means it is possible to get 100%. What are your top three tips for success on the LPC? Plan your time well. Getting into a good routine will help you to stay on top of your weekly workload. Try to understand the topics at an early stage. We had one week off to revise for mocks halfway through the first term. This was a great chance to grasp the first half of the course, and going over the first half early on made for an easier revision period. Enjoy it! The LPC is structured so that you are able to fit your timetable around other interests and commitments, which means you can really focus on your studies when you sit down to do work. What's the LPC like? Ask The Lawyer Portal Community. Get help, give help and join the conversation today!